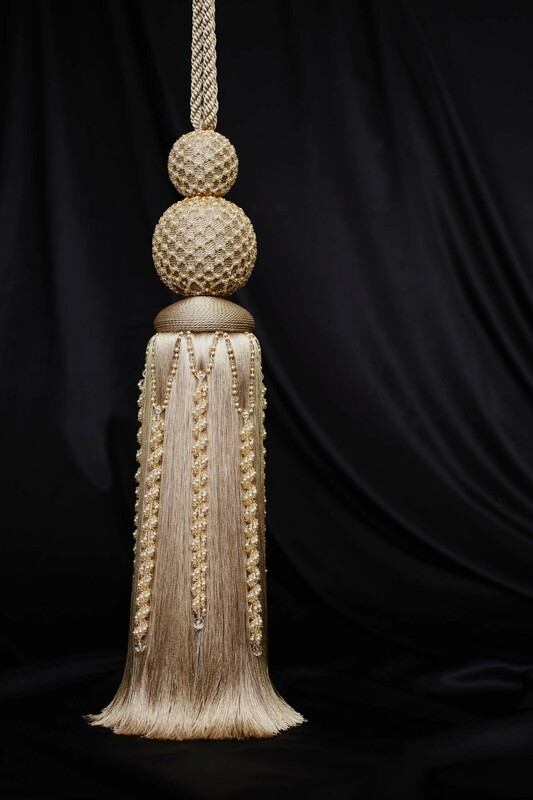 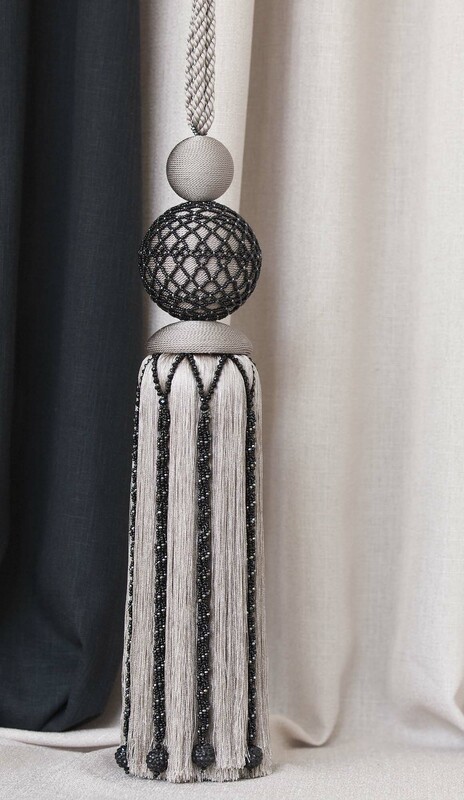 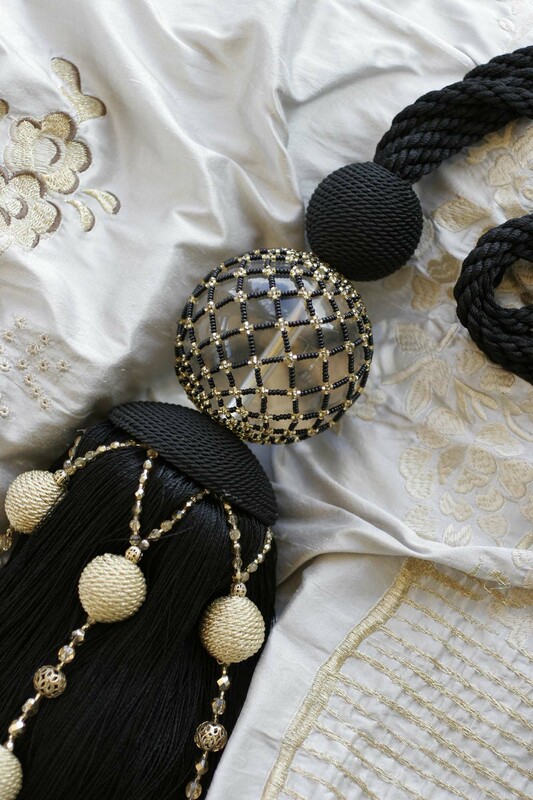 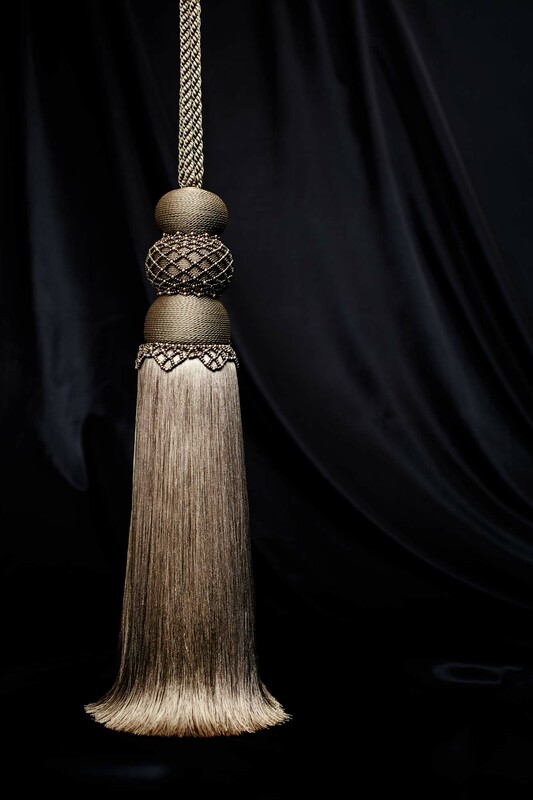 Our tassels in this section are very labour intensive, where every bead is picked up separately, by hand to create luxury pieces to adorn the most luxurious of settings. 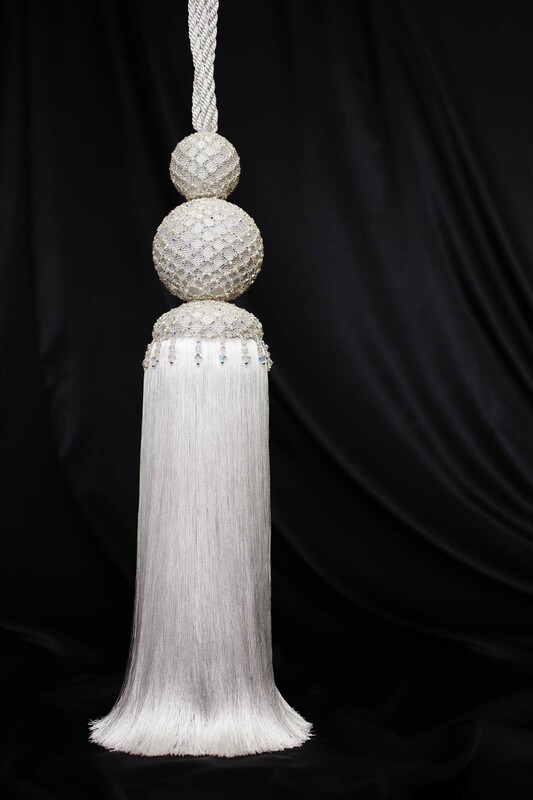 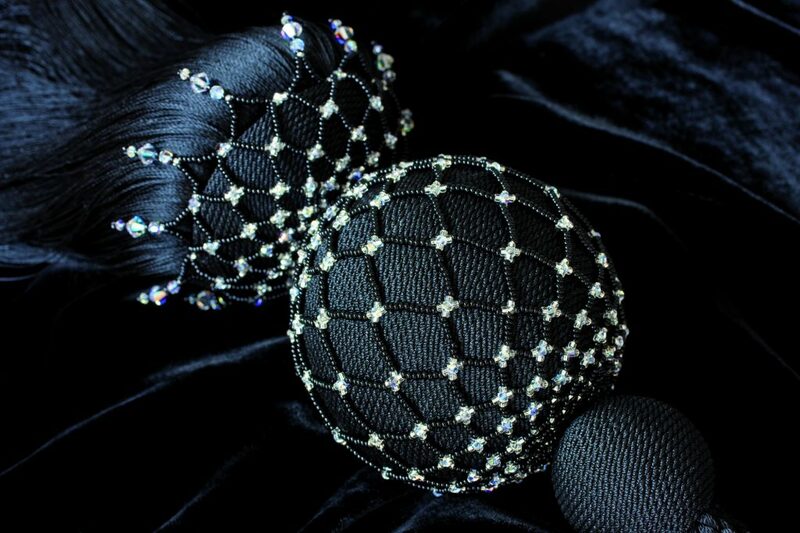 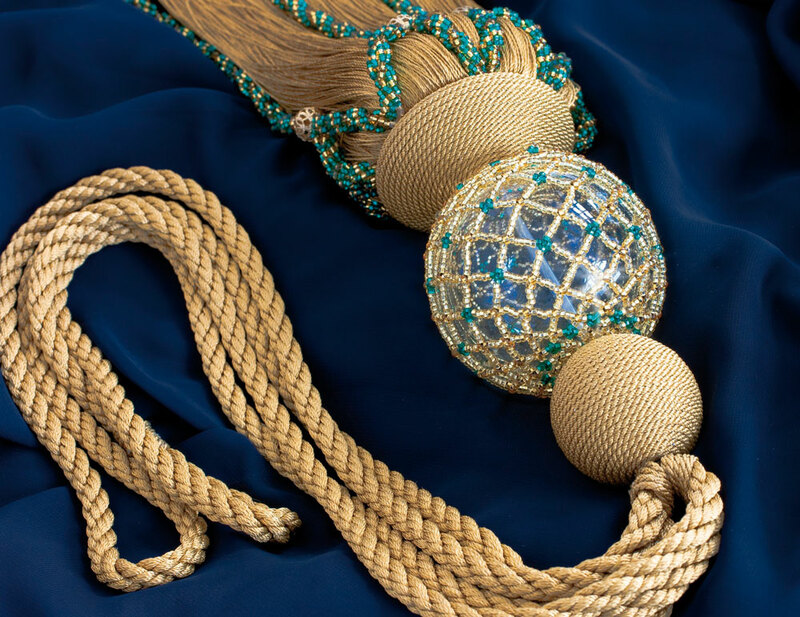 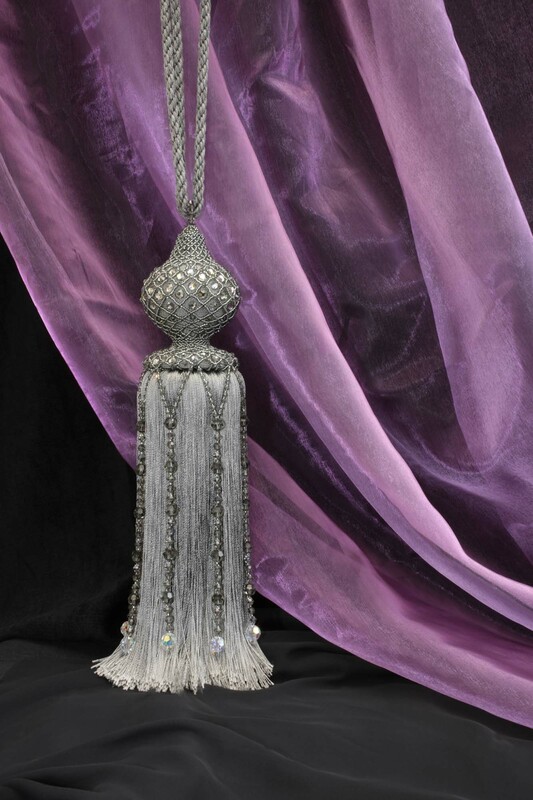 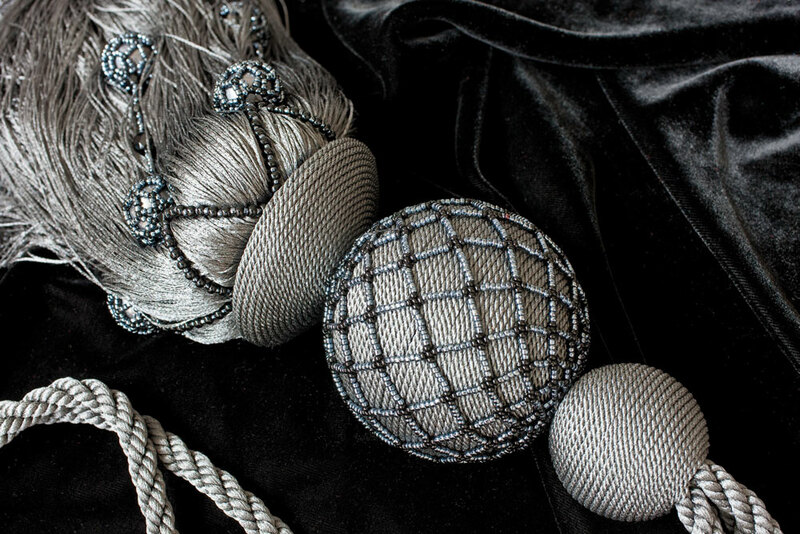 Our beading experts produce wonderful effects to suit large or small tassels. 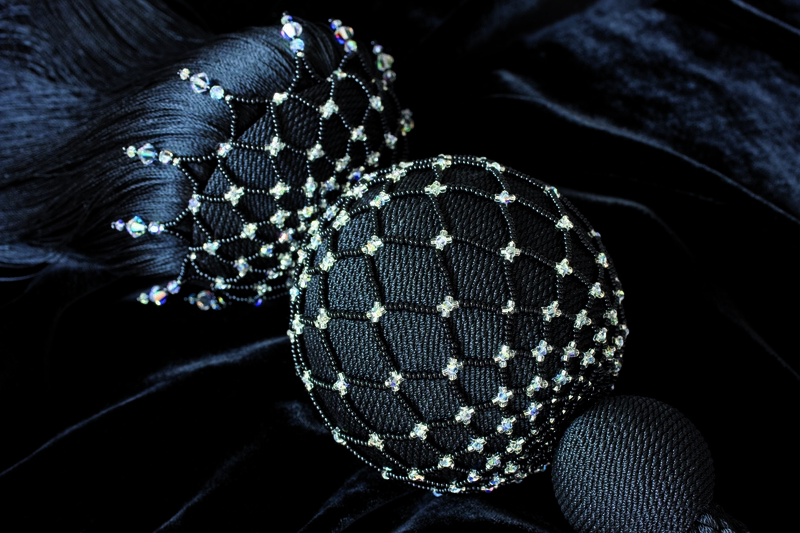 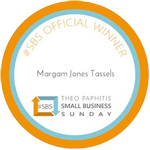 Beading designs can be made using the world renowned Swarovski beads with their inimitable sparkle, but other beautiful beads can produce excellent effects and the client can select from a wide choice.